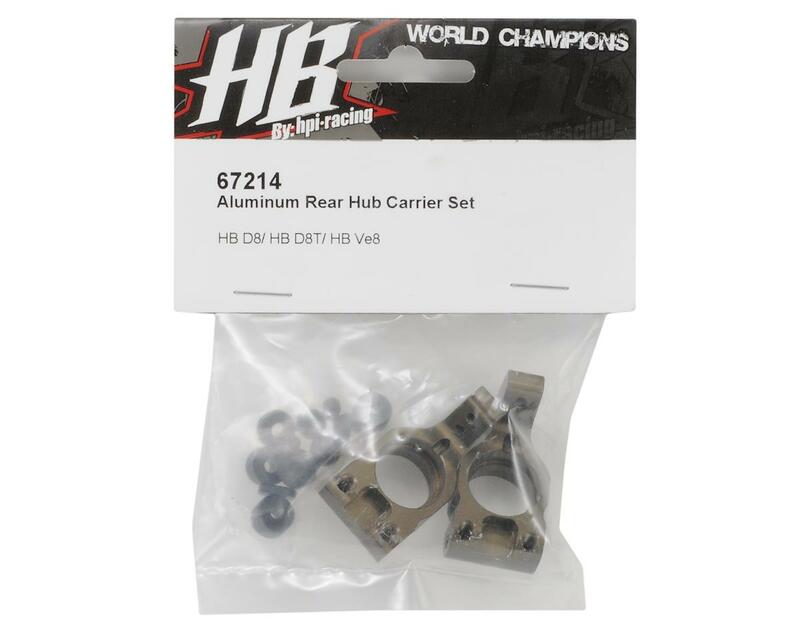 This is a set of optional Aluminum Rear Hub Carriers. 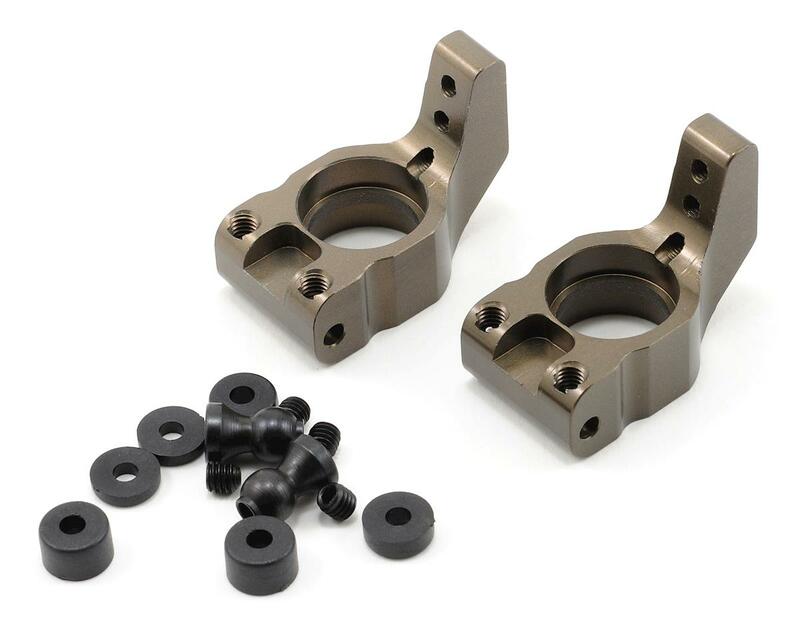 Tune your D8, D8T and Ve8 with these durable and lightweight billet aluminum rear hub carriers. They come in the standard 0 degree but with the option of moving the hub forward or backward in the arm with finer shims and a narrower overall width. This part also gives you more upper link adjustments with not only more mounting holes but also by turning the ball vertical. This allows for infinite adjustment as you can add and remove shims to change the vertical geometry of your camber link.